Excel spreadsheet to track mileage tax deductions and reimbursements. Print a handy mileage report showing miles and number of trips monthly, quarterly, and annually. Reduce taxes by having the proper documentation for your mileage deductions. This Excel spreadsheet tracks mileage tax deductions and business mileage reimbursements for you. It is so organized and easy to use, that you will actually use it. You can print a professional mileage report, including colorful graphs, showing deductible amounts, miles, and numbers of trips monthly, quarterly, and annually. Your mileage report and graphs are updated automatically every time you make an entry for a new trip or update the information for a trip already recorded. 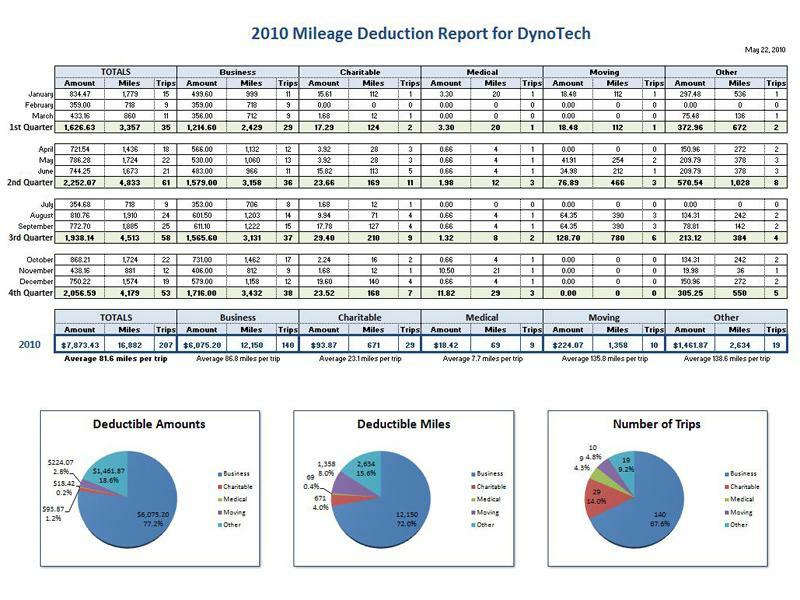 Customize reports with your name and the tax year, so you will have a handy one-page annual mileage deduction report for your tax records. Reduce taxes by having the proper documentation for your mileage deductions. Tax officials are watching expense reports closely for accuracy and completeness, and you must document tax-deductible mileage correctly to support your deductions. Enter start and end odometer readings and let the spreadsheet automatically calculate for you. Track trips for business, charitable, medical, moving, and other categories. Monthly tracking worksheets let you specify mileage rate amount for each trip category. The Data page allows you to set whatever mileage rate you want and offers suggestions for each category. Spreadsheet includes help page and links to assorted online tax documents for US, UK, and Canada. You can expand the reference section by adding your own tax reference links, as needed. The help page gives easy instructions about how to add new links to your reference list. Full version includes a bonus page of mileage record slips you can print out and take with you on your trip to record mileage. System requirements are the same as those required to run MS Excel. 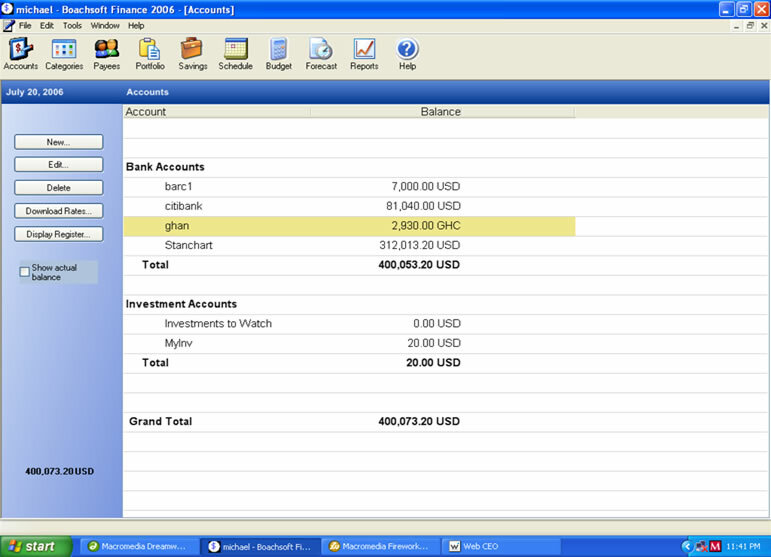 This spreadsheet is designed to work with any version of MS Excel and will work with Open Office Calc. It contains no macros or custom functions, so you can use with any software that opens, edits, and saves Excel spreadsheets. Download a free demo from www.mileagespreadsheet.com. This site does not contain serial number, crack, keygen Mileage Report Spreadsheet serial number : serial number is the simplest type of crack. A serial number(cdkey,product key,etc) is register the program as you may already know. a crack or keygen may contain harmful software. If you cannot find the exact version you want, just give it a try. for more information read .nfo/.txt/.diz file include in zipped file.